When a parent wishes to come or migrate to Australia it is necessary to obtain a Visa in order to do so, and it is called a parent visa. Of course that parent needs to have either a stepchild, adopted child, or natural child be either a settled eligible or settled permanent inhabitant of either Australia or New Zealand. Further the applicants need to have at least ½ of their children permanently living in Australia, and have more of their children living in Australia than in other countries. What this parent Visa will carry along with it is that the actual applicant, plus their accompanying spouse and/or other dependent family member(s) will then be able to become permanent residents to Australia, study and work in Australia, be able to receive medical and pharmaceutical benefits, receive social security payments, make application for Australian citizenship. Further, they will be able to sponsor other people who wish to become permanent residents of Australia. The applicant will need someone who is prepared to offer financial support to ascertain that the applicant will not rely on the Australian government for sustenance for the next ten years. Further, they will need to be prepared to reimburse the government for any social security payments made during the first 10 years of residency in Australia. Plus, the sponsor or supporter needs to be prepared to supply one applicant $10,000AUD or $14,000AUD for a couple as support. This assurance of support does not necessarily need to come from a person either. Some find it much easier to receive such assurance of support through various organizations that are ready to give such support. Using a service company to help you make application for your parent Visa is often the best, though they do cost additional money. However, you should know that dealing with any government entity in any country is never easy, and thus the tips you may receive from such a service company may pay you in the long run. Children may also sponsor a parent as long as they can supply the above financial support noted above. They will also be responsible for finding or supplying accommodations. Regardless of who else is involved as a sponsor regardless of this, an applicant will also have to prove their health as well as their character to receive such a parent Visa. Once the Australian government is processing your application, you will be notified when you need to have your police checks and medicals accomplished in a timely manner. Because achieving a parent visa keeps involving an inordinate amount of waiting time, the time will be shorter if you apply instead for a “contributory” parent Visa. This costs substantially more. 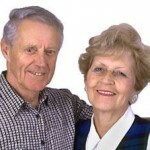 Or if you are a retiree you may also try to get an investor retirement Visa. Either way sponsorship will be required. Like all britishers, even Australians don’t understand the value of parents and consider parents as a separate family. The immigration office, the government and the people of Australia need to learn a lot what it is to be all about being wrapped by love like in an Asian family.